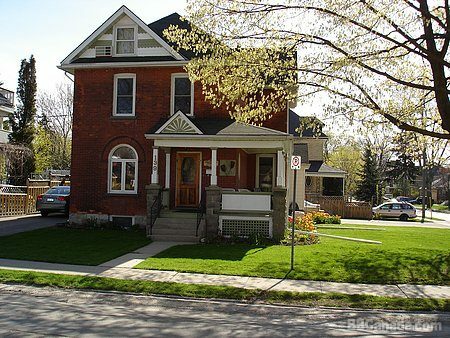 Pricing per night $120 CDN. 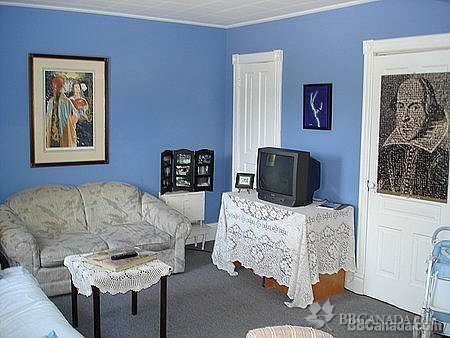 (inclusive) Reduced rate $90 in off-season Nov.-May. Applicable US exchange. 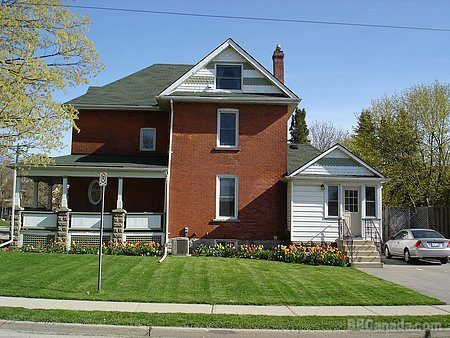 Front Row Centre is a renovated Victorian home with central air for your comfort. There are two queen bedrooms with ensuites and one room with twin beds and private bathroom. 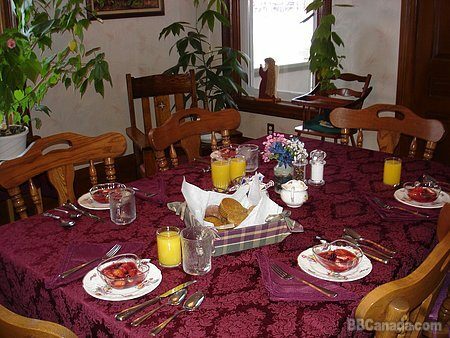 Enjoy fresh cooked hot breakfasts in our large comfortable dining room each morning. Relax on the front porch swing or enjoy sitting under the new gazebo on the spacious back deck. 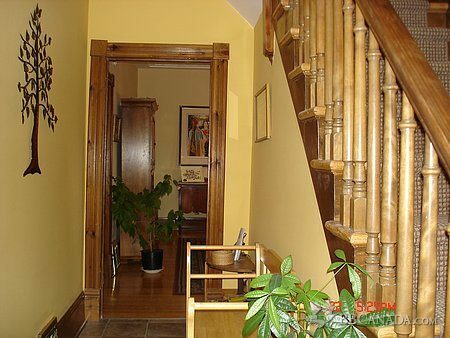 Just a 10 minute walk to all three theatres, restaurants, and stores. Wireless internet access. Click Bedrooms to view bedrooms and availability calendar. Check In/Check Out : Check In time 1 p.m. / Check out time 10:30 a.m.